The Safco Sassy Stack Chair is a stylish desk chair with a breathable and flexible s-wave design that flexes to form with the natural shape of the body. 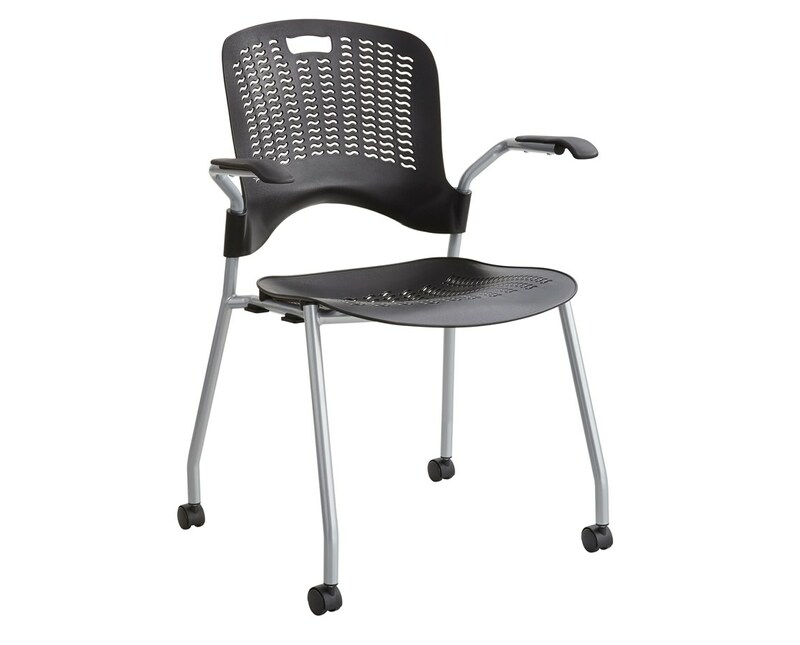 It has arm rests for added comfort and dual wheel hooded carpet casters on each leg to allow smooth mobility. It comes in a package of two chairs. 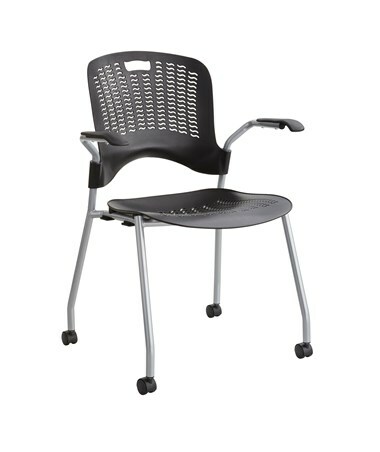 This stack chair’s seat and back are made of Polypropylene (PP) and aluminum frame with powder coat finish. It meets ANSI/BIFMA standards and is certified by the GREENGUARD Environmental Institute for low volatile organic compound (VOC) emissions. 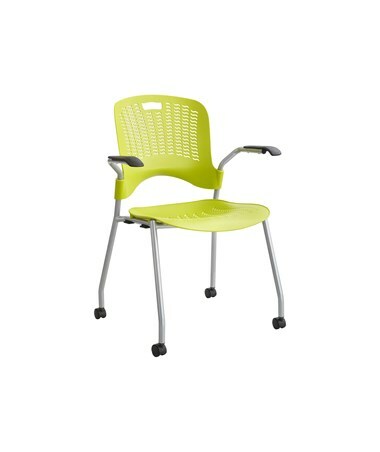 The Safco Sassy Stack Chair is available in two different colors. Please select your preference from the choices above.